1. Prepare your travel documents—Be sure to have a passport that remains valid at least six months beyond the date of your return. In addition, visas may be required in several cities throughout the region. Remember that requirements can change frequently, so check prior to your departure. 2. Pack light but don’t forget the essentials—You can pack light since laundry services are extremely affordable in hotels throughout Asia, and most cruise ships have facilities onboard. Some of the things you’ll need to pack include: modest clothing that covers your knees and shoulders for visiting temples, upset stomach relief, hand sanitizer, and travel packs of tissues. 3. Get your vaccinations—Make sure to check each country’s vaccine requirements, then visit your doctor to discuss any addition safeguards they may recommend. 4. Consider a land/cruise combo—One of the ways you can make travel easier is by taking a combination cruise and land tour. You avoid the hassle of packing and unpacking, you enjoy well-appointed accommodations that travel along with you, and when it’s time to disembark, the process is quick and easy. 5. Prepare for a range of activities—In Southeast Asia there are temples...plenty of temples. While they are spectacular, after a few days of seeing one after another, they tend to run together. Avoid burnout by planning a diverse range of activities. 6. Carry some local currency—While you can use your credit card at hotels and larger restaurants, you will need local paper currency for small eateries, street vendors and taxis. Your best bet for a decent exchange rate is to wait until you are in country, then find a bank or other reputable spot that offers currency exchange. 7. Bargain—Don’t be afraid to haggle with vendors. Just smile and make an offer, as is the custom. You’ll have a good time, and come away with both hard-won treasures and a memorable story. 8. Know the activity level—Most group travel companies rate their tours based on activity levels. Since many Southeast Asian countries are so old, it’s not unusual to find hills, cobblestones and stairs. Make sure you are comfortable with your tour’s activity level. 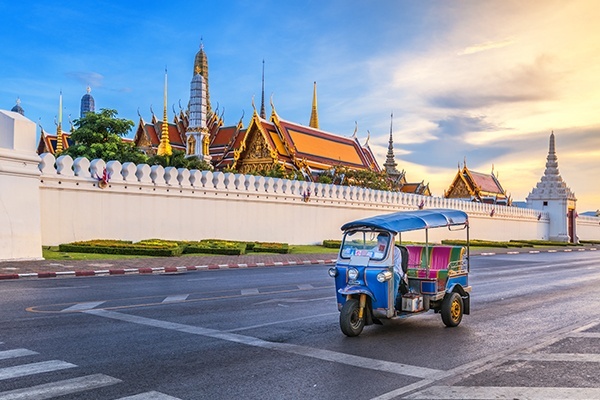 You can explore the rich and diverse cultures of Southeast Asia on the Wonders of Southeast Asia tour with YMT Vacations. For information on how you can join this once-in-a-lifetime journey, call your travel agent or YMT Vacations at 1-888-756-9072.